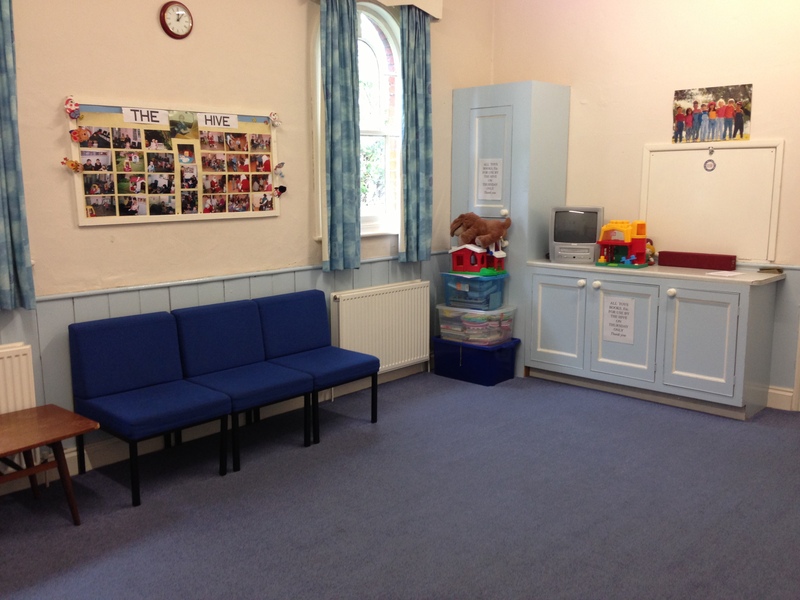 The facilities consist of a hall, a smaller lounge and a kitchen. 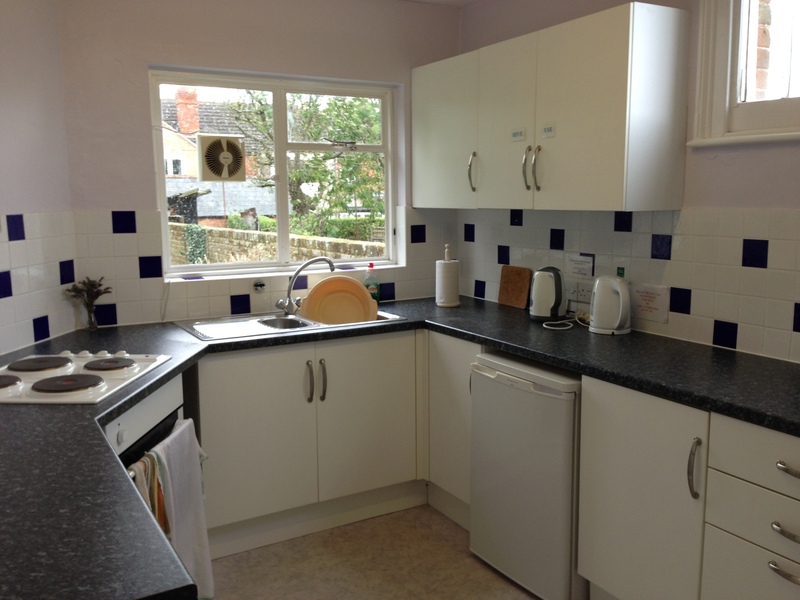 There is access to the kitchen from both the hall and the lounge. There is a separate entrance to the halls at the rear of the church. There are no steps and there is a disabled toilet. A hearing loop is installed in the hall and a radio mike set can be loaned with one lapel mike and one handheld mike. 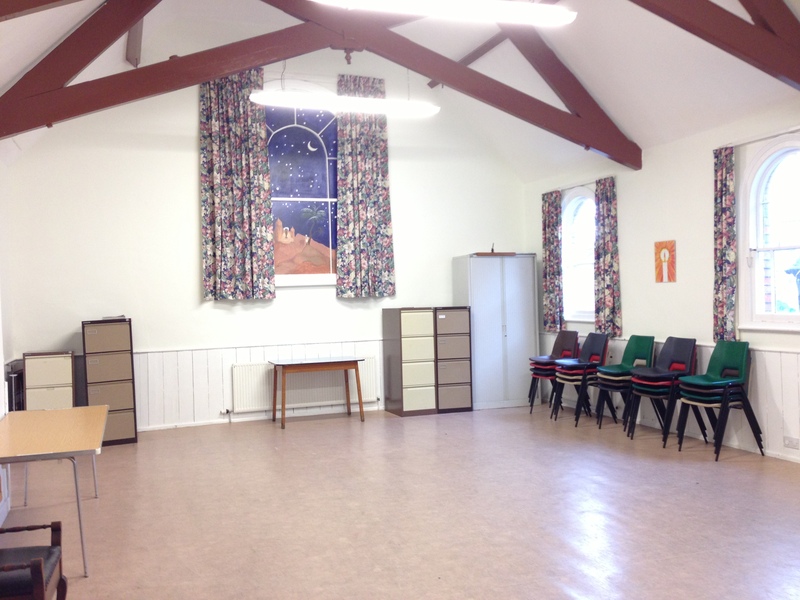 The hall is moderately sized with lino flooring. There are folding trestle tables and stacking chairs. The lounge is carpeted, with low upholstered chairs, a coffee table and a higher table. Stacking chairs are available. The kitchen has a cooker, microwave, refrigerator, and kettles, A set of cups, saucers and plates are available, and cutlery.